Husna Ahmed. Ahmed Abdel-Ghany. Syed Areeb Ahmed. Farhaj Ahsan. Mohsen Mohammed Al Harbi. Hussein Al-Umari. Ashraf Ali. Ashraf Ali. Syed Jahandad Ali. Ansi Karippakulam Alibava. Linda Armstrong. Muse Nur Awale. Zakaria Bhuiya. 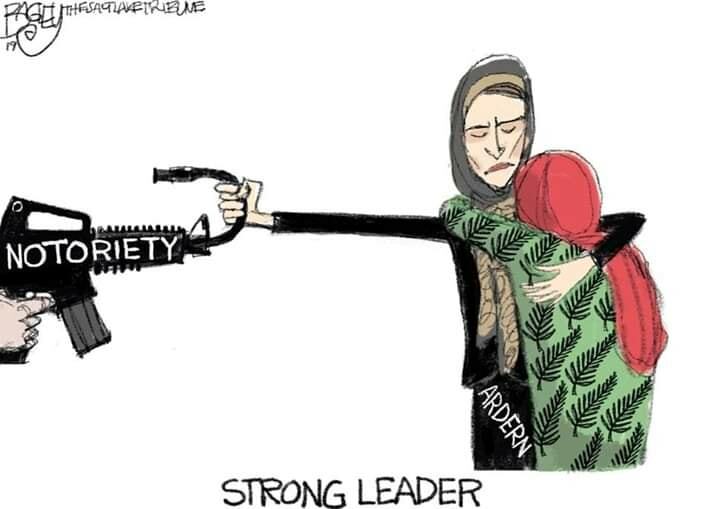 Karam Bibi. Kamel Darwish. Atta Elayyan. Ali Elmadani. Abdukadir Elmi. Mohammad Omar Faruk. Amjad Kasem Hamid. Lilik Abdul Hamid. Mojammel Hoq. Ghulam Hussain. Mucaad Ibrahim. Junaid Ismail. Ozair Kadir. Mohammed Imran Khan. Maheboob Allarakha Khokhar. Osama Adnan Yousef Abukwaik. Haroon Mahmood. Sayyad Milne. Muhammad Haziq Mohd-Tarmizi. Ashraf El-Moursy Ragheb. Mohamad Moosid Mohamedhosen. Hussein Moustafa. Khaled Mustafa. Hamza Mustafa. Haji Mohemmed Daoud Nabi. Tariq Rashid Omar. Hafiz Musa Patel. Abdelfattah Qasem. Naeem Rashid. Talha Naeem. Muhammad Zeshan Raza. Matiullah Safi. Muhammad Abdus Samad. Muhammad Suhail Shahid. Mounir Guirgis Soliman. Arif Mohamedali Vohra. Ramiz Arifbhai Vora. 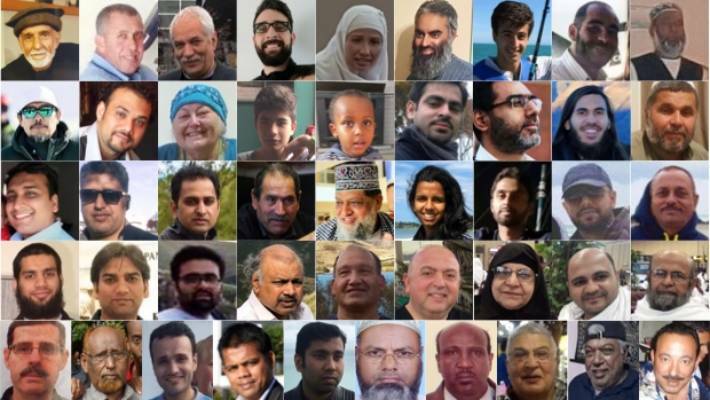 Alphabetical name list source: Christchurch mosque shootings: Faces of the fallen NZHerald. 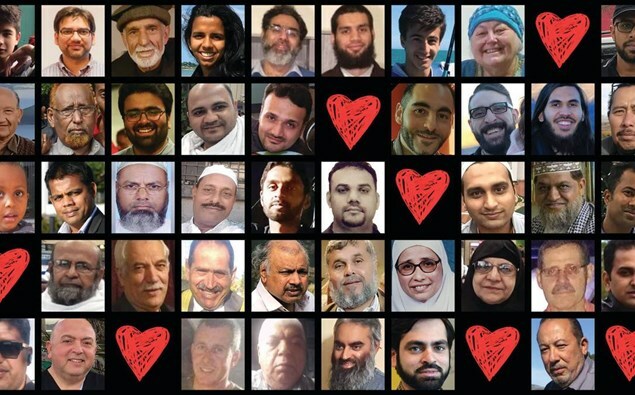 Reeling at the atrocious harm done, trying to make sense of what had just happened in our community, for a city and country, aspects of great significance emerged, such as Islam being a kind of Christianity, in different language and costume, also peace advocacy. And very locally, Cashmere High School head boy behind vigil to bring students together in peace and love – “Seven people associated with the school were believed to have been killed or injured. Three of those were current students.” Youth immediately rallied to front the response, with passion and compassion, as 15 March was to have been their day and they had been brutally robbed. 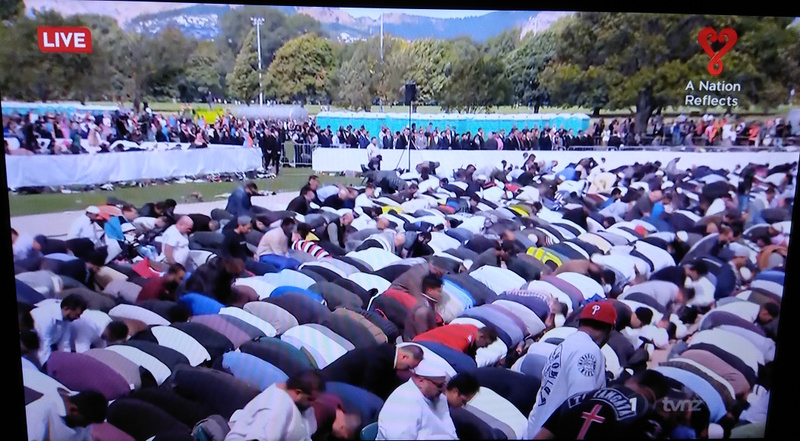 Screen capture is from Thousands disperse after honouring Christchurch mosque attack victims – ‘We have shown NZ is unbreakable’, TVNZ coverage. The mood of support has not been even, however, e.g. where Destiny’s Brian Tamaki ‘strongly denounces’ use of Islamic Call to Prayer for victims of the Christchurch terror attacks and Brian Tamaki defends his controversial tweets. Inevitably, a deeper look at religious influences must come to the fore, e.g. 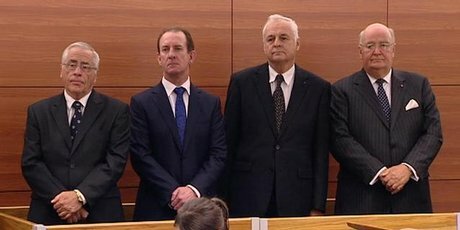 Christchurch attacks were a form of ‘Christian terrorism’, as well as racial hatred, says religion expert. No country is ethnically homogeneous, and in the founding of New Zealand where referring to the Cracroft settler farm estate, a city councillor points out that “Muslims have been in Christchurch since the 1850s, citing the old Christchurch suburb of Cashmere with streets named after several Indian provinces, both Hindu and Muslim” – in Easy money era fuelled global terror says Christchurch politician in The Australian Financial Review. Communities are being undermined and weakened, anew, it is true – yet by who, in broad total? Which makes us take time to consider belief and ideology behind actions, and begin by answering the question echo Is Kashmir the most dangerous place in the world? on Al Jazeera simultaneously. Because underneath the Labour government’s use of local rallying lay some real contributions to conflict. These they need to own, in the spotlit Cashmere context, and now. Pictured behind PM Adern at Cashmere High’s podium are local MPs Dyson and Woods. Monopoly in community politics, serving the fossil energy empires, is the Labour game played, ruthlessly and unethically, to maintain power and attention like this. 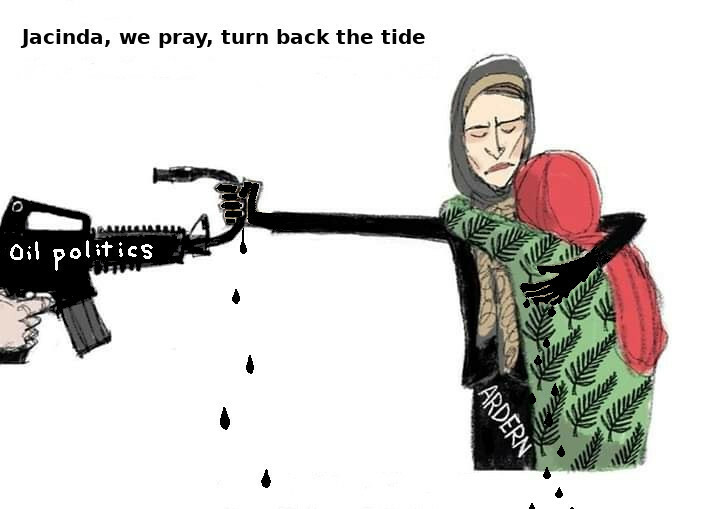 The Labour house is built on sand, literally; blood on sand and now amongst the silver fern, for oil, most tragically, and this they want no one in a position to speak to, no left opposition. So they distort and manipulate local community voice into parroting them and worse, into increased danger. 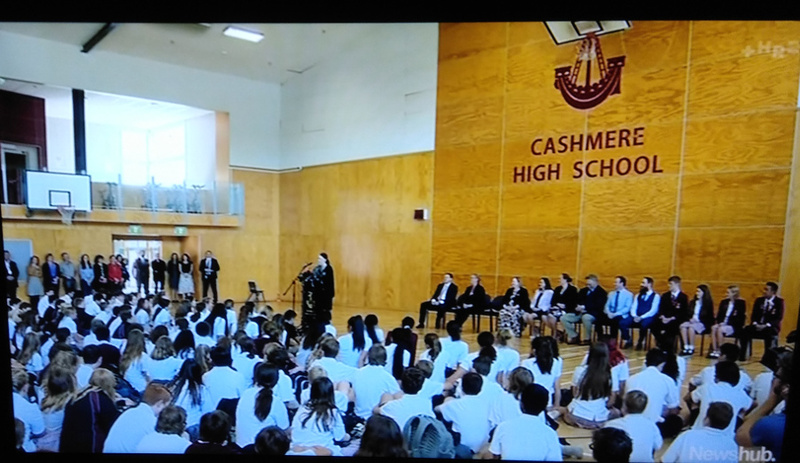 “Cashmere” itself, for example, has been silenced – this school is in Somerfield. Hence the current article, to point out that Labour, if sincere would immediately start programs for replacement of imported fossil crude oil – to stem the deadly pressure upon refugees of Middle East nations. The reality of Labour’s effect is to make Cashmere suburb less safe, not more. Through party affiliates – the Reverend Silvia Purdie and campaigner Leona Murahidy – they have robbed and destroyed the residents’ association here, in order to take over / claim credit for the resilience project the residents established for themselves at and with Cashmere Presbyterian Church. The Labour local body campaign leader – Phil Clearwater, a city councillor in the area – has installed wife Pam to steal the residents’ project resource base: a Labour-Presbyterian defrauding of Cashmere, immobilising its own resilience with grievous intent. (Pam Clearwater’s theft of Cashmere residents’ preparedness resource, as “CREST”, is the smoking gun of NZ Labour Party fraud and cronyism – aided and abetted by grasping, dishonest Presbyterians). The minister attempted to rob the generator fund – raised by residents from the Red Cross for installation at the church – in order to fete these ‘high and mighty’ on 18.2.2018 instead of assist a basic community lunch. When that offensive failed, the Clearwater gang handed Purdie city rate-payer funds for the same purpose, to invite themselves to unearned public profile. Appalling corruption. Petty, malicious and destructive is the Labour underling hallmark, exposing some ‘Christian’ religious faith here as very cruel and false. Hold Labour to account, for better community outcomes and true leadership. End Labour corruption, move them to truth objectives. Joining the two threads of this story together are Australians that we were much better off without. One is in high security wing of Paremoremo prison. The other is Leona Murahidy, Cashmere Residents’ Association wrecker, Labour activist and vicious Presbyterian schemer, a proven liar in court. Be ever-vigilant, communities have no government support to mitigate disaster risk, building as we speak. “This is not us!” belies the fact that it is, through ingrained ‘Christian’ entitlement (of the gunman etc.) and the deadly petroleum in our cars, freight deliveries, sailings and flights. Hypocrites and dunderheads, make peace. As-salamu Alaykum. Occupy Police “OcPo is in Open Solidarity With Occupy Wall St. & The 99% Across the Globe” though many would be suspicious of this; a low level of engagement found, yet OFFICIAL PRESS RELEASE: Madison and Dane County Police Unions Condemn Capitol Crackdown on Protesters 18 September 2012. Occupy NZ Media Team “have covered over 40 NZ protest actions in the last 12 months. Our members are livestreamers, livetweeters, bloggers, photojournalists, social media admins, and all around amazing citizen media” occupysavvy.com/submit-content + Occupy New Zealand Announces #O13 Nationwide Re-Occupation “Decentralised occupations nationwide! October 13-15+, camp for freedom! Become the change! Become the media!” 2 October 2012. For a secure project base there is KeepandShare by Gee Whiz Labs. No matter. 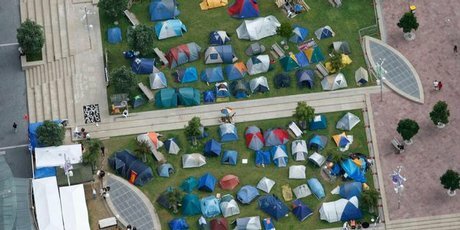 Occupy Christchurch has split along gender identity lines, but remains able to conduct public debate. So will it bother? The Political Scientist, “Where politics, science and life meet”, makes obvervation and insight on post-disaster Christchurch NZ etc. 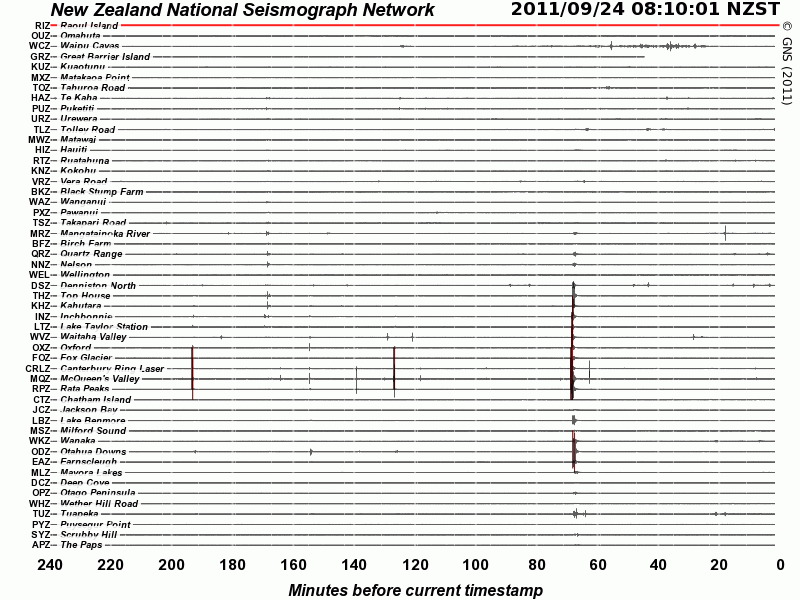 Since 1900 there have been 15 M7.5+ earthquakes recorded near New Zealand. 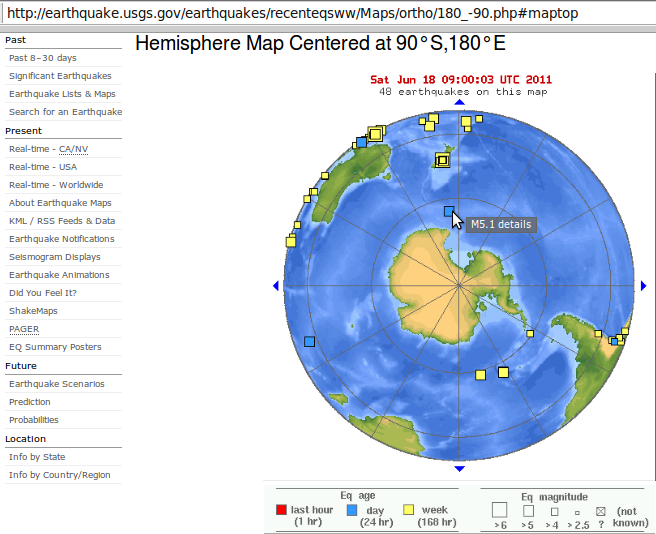 Nine of these, and the four largest, occurred along or near the Macquarie Ridge, including the 1989 M8.2 event on the ridge itself, and the 2004 M8.1 event 200 km to the west of the plate boundary, reflecting intraplate deformation. 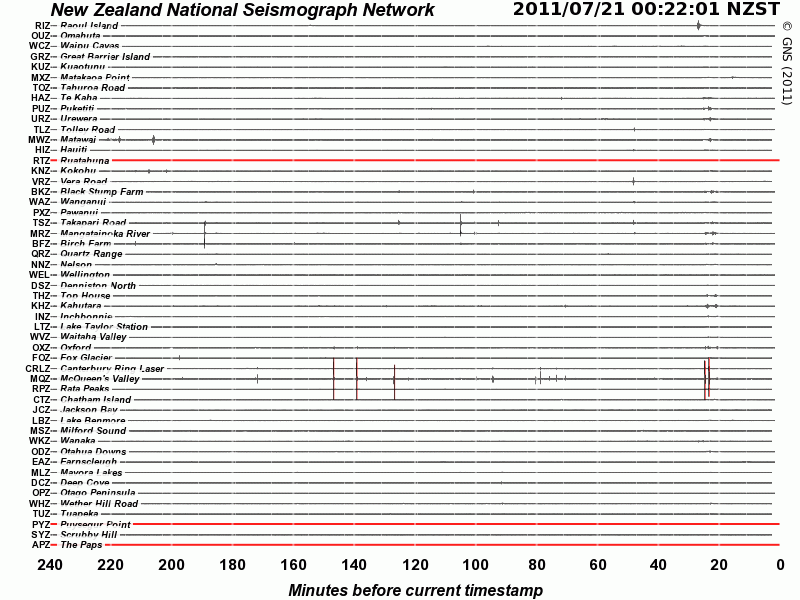 The largest recorded earthquake in New Zealand itself was the 1931 M7.8 Hawke’s Bay earthquake, which killed 256 people. The last M7.5+ earthquake along the Alpine Fault was 170 years ago; studies of the faults’ strain accumulation suggest that similar events are likely to occur again. Australia-Pacific convergence rates increase northward from 80 to 90 mm/yr along the North New Hebrides trench, but the Australia plate consumption rate is increased by extension in the back arc and in the North Fiji Basin. Back arc spreading occurs at a rate of 50 mm/yr along most of the subduction zone, except near ~15°S, where the D’Entrecasteaux ridge intersects the trench and causes localized compression of 50 mm/yr in the back arc. 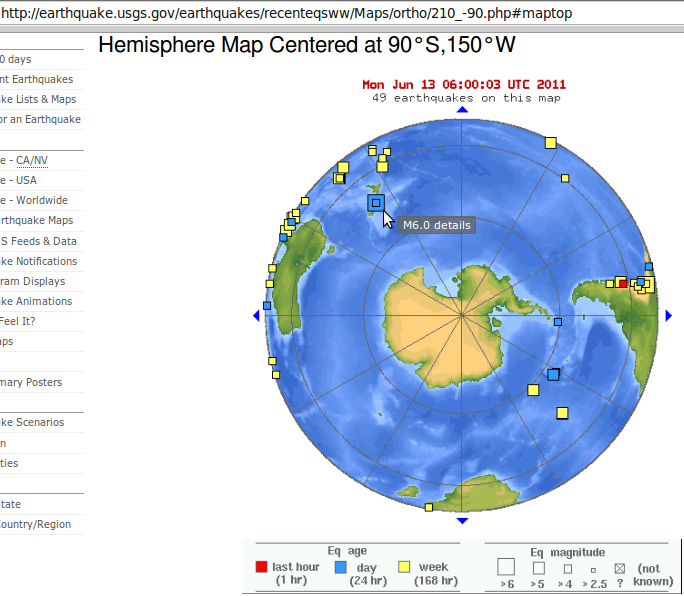 Therefore, the Australia plate subduction velocity ranges from 120 mm/yr at the southern end of the North New Hebrides trench, to 40 mm/yr at the D’Entrecasteaux ridge-trench intersection, to 170 mm/yr at the northern end of the trench. 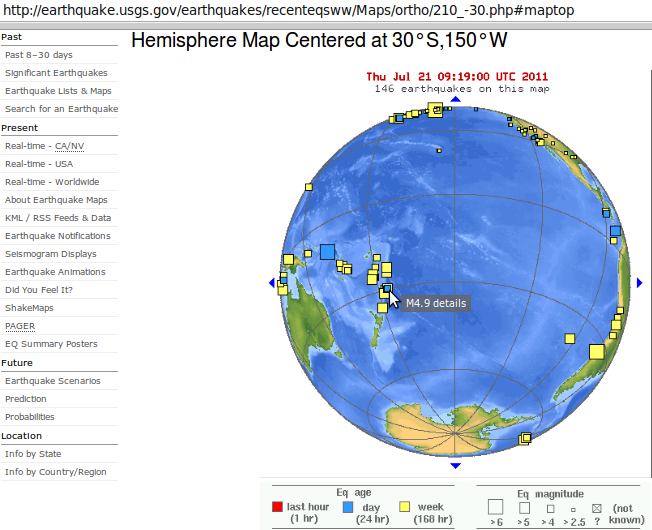 Large earthquakes are common along the North New Hebrides trench and have mechanisms associated with subduction tectonics, though occasional strike slip earthquakes occur near the subduction of the D’Entrecasteaux ridge. 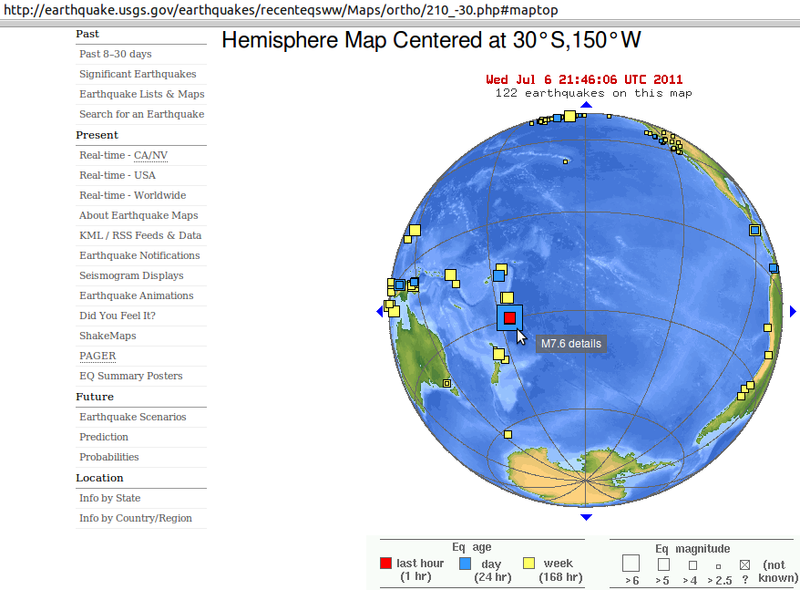 Within the subduction zone 34 M7.5+ earthquakes have been recorded since 1900. 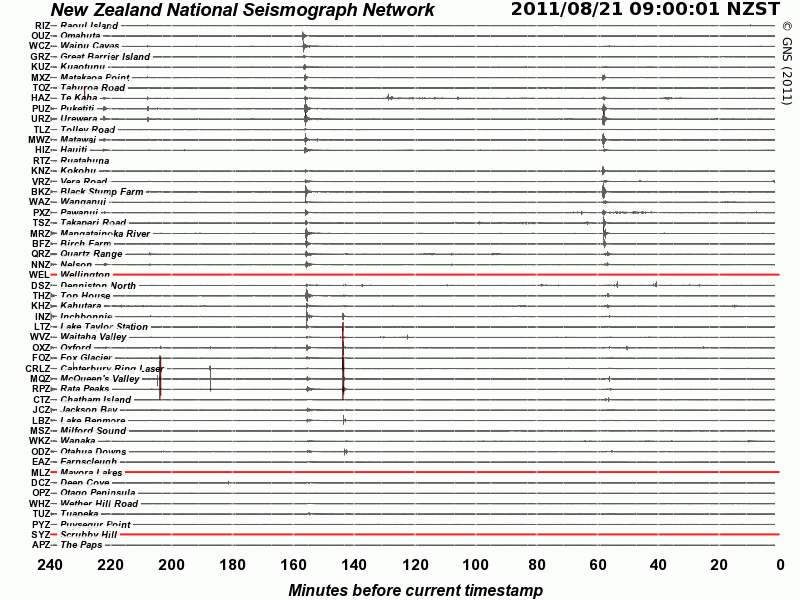 On October 7, 2009, a large interplate thrust fault earthquake (M7.6) in the northern North New Hebrides subduction zone was followed 15 minutes later by an even larger interplate event (M7.8) 60 km to the north. 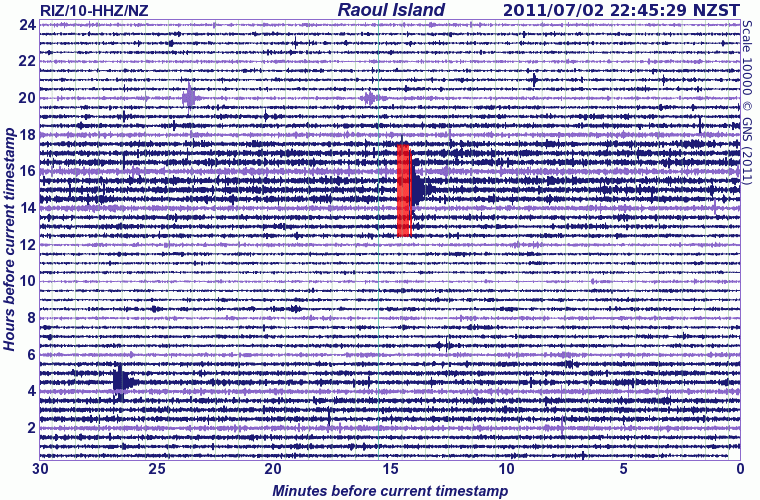 It is likely that the first event triggered the second of the so-called earthquake “doublet”. 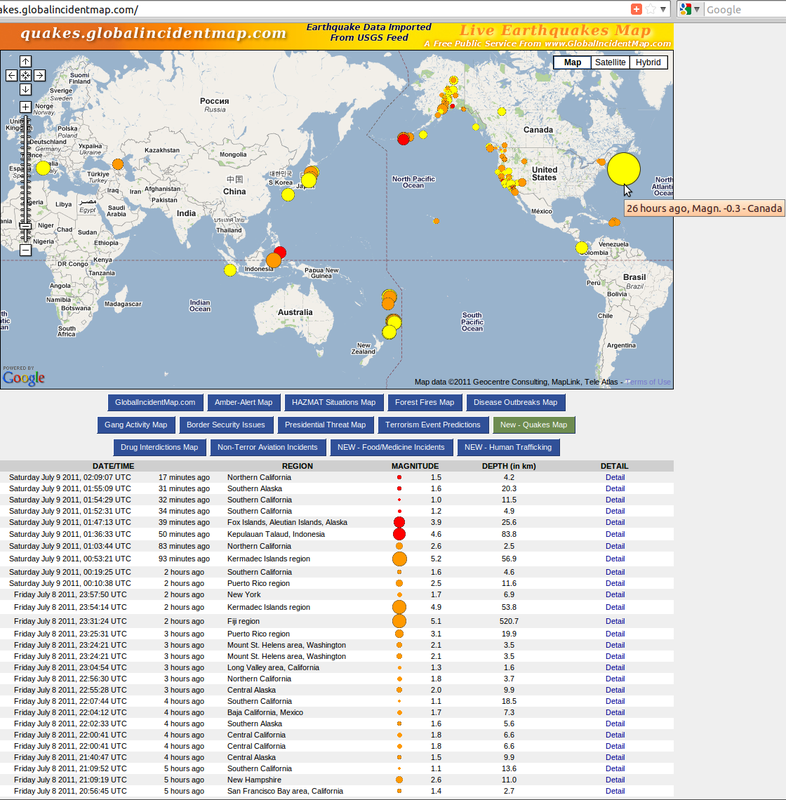 [/quote] + New Zealand Earthquake Information links – good. We are not alone: Earthquake and Fault Line Maps for Australia – “Is there a risk of a volcanic eruption in Australia?” Fact-filled, of interest: “The Western Victorian Volcanic Plains are the third largest in the world and exceeded only by the Deccan in western India, and the Snake River Plateau in the United States (Idaho-Nebraska)…” from Romsey, Vic. Tony Marryatt (executive abuse of power) controversy. 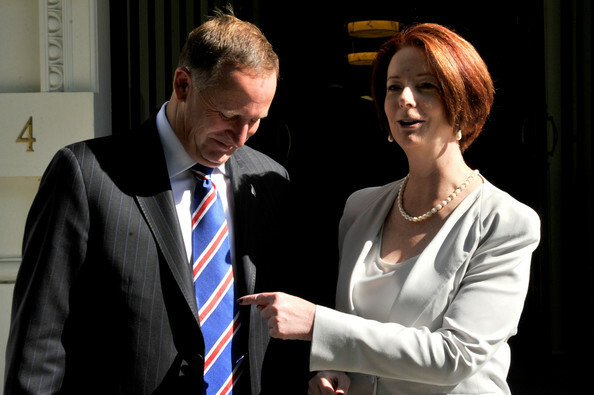 Arrest John Key for a democratic hearing. Closing arguments begin in Lombard case, 31/01/2012. Ref. The Curiously Lingering Lombard Prosecution, Jock Anderson. 350 Otautahi – Sustainable Canterbury mauriroawaitaha.wordpress.com/climate-change mitigation action – 24-09-2011 commuter rail workshop – 3pm-5pm at WEA, 59 Gloucester Street, Christchurch. How to effect change in local government in support of cyclists and emission reductions more substantially. ~ Is the smart “350” cause/brand being dumbed down and diluted into a minority matter of consumer choice? Come help build real lasting change. ~ “350” parts per million of atmospheric carbon is the goal – to stabilise Earth climate – and how we get there demands innovation. “Moving Planet” mobilisation is one means, but are there others? Workshop on empowerment vs major emissions sources, 3pm @WEA 24.09.2011. ~ Consumers, you are victims, not the cause – tax/costs up, quality of life down – TO ACTION! 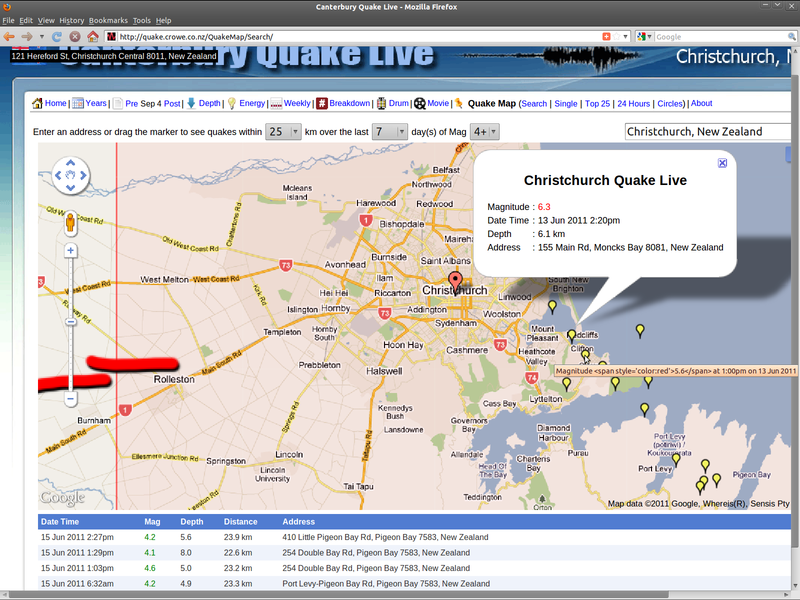 ~ Another magnitude 4+ aftershock earthqauke has heralded Moving-Planet day here in Otautahi: stop them? 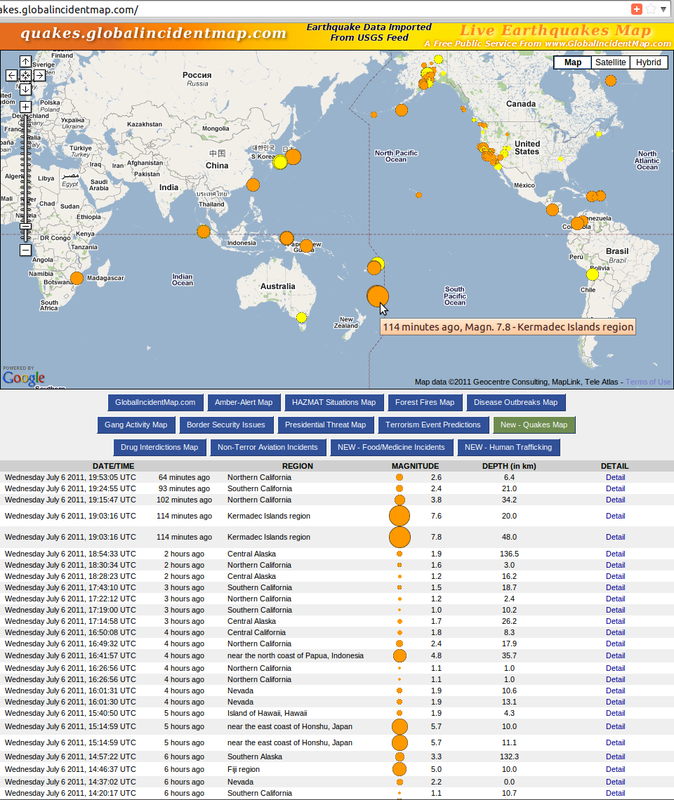 This significant-quake listing follows on from my earlier Hikurangi update ~ Tokoroa 4.6 page, and is followed by Mag 6.8 quake near Timor-Leste shakes NZ. Source: GeoNet. 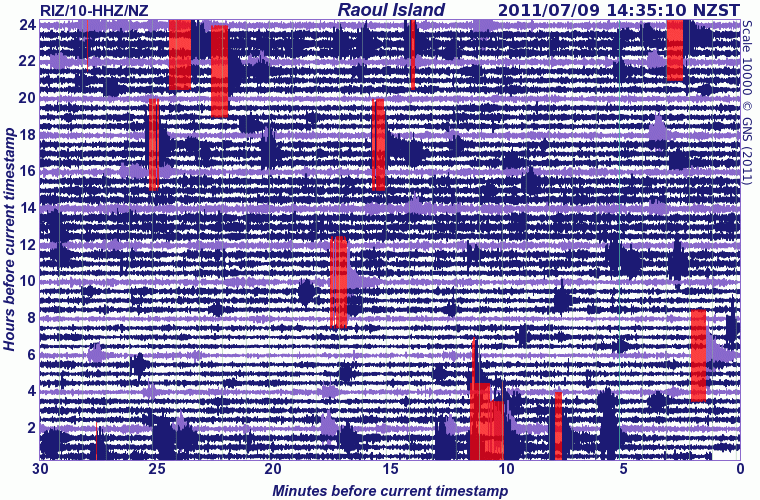 Note the numerous local aftershakes quickly triggered across north and central NZ. 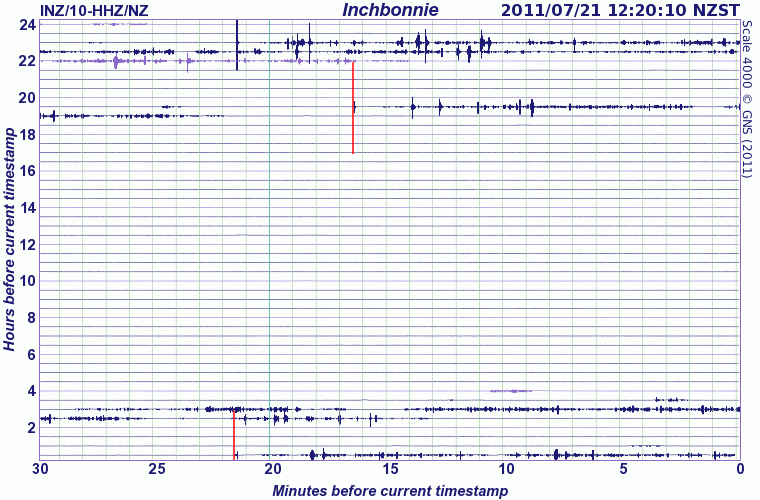 Note especially how the critical Inchbonnie (Alpine fault) drum has been so busy over the past 48 hours that it appears to have been driven off-line – OUT OF SERVICE !!! 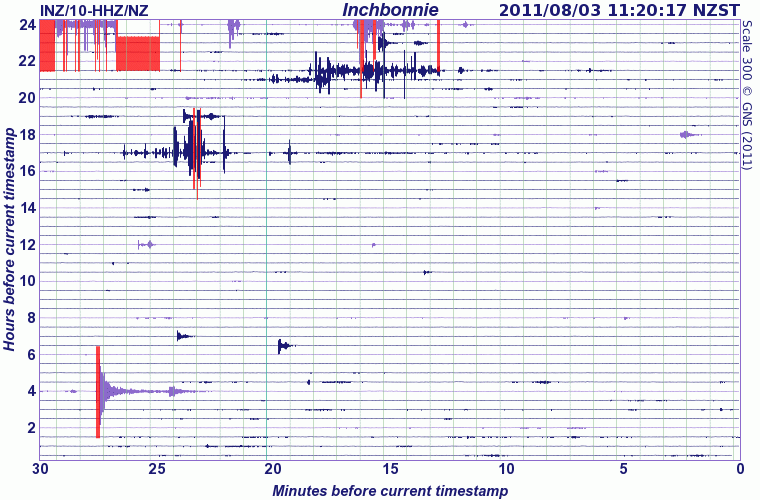 Mount Erebus Volcano Observatory MAC Seismic Activity – did the data transmission batteries run down, lacking solar power in winter, or have dramatic earthquakes upset this equipment and its seismic records? 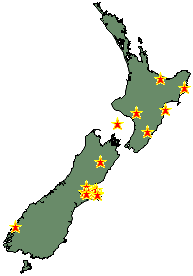 New Zealand’s central North Island, south-west to north-east, active subduction zone is properly lit up by recent quakes. 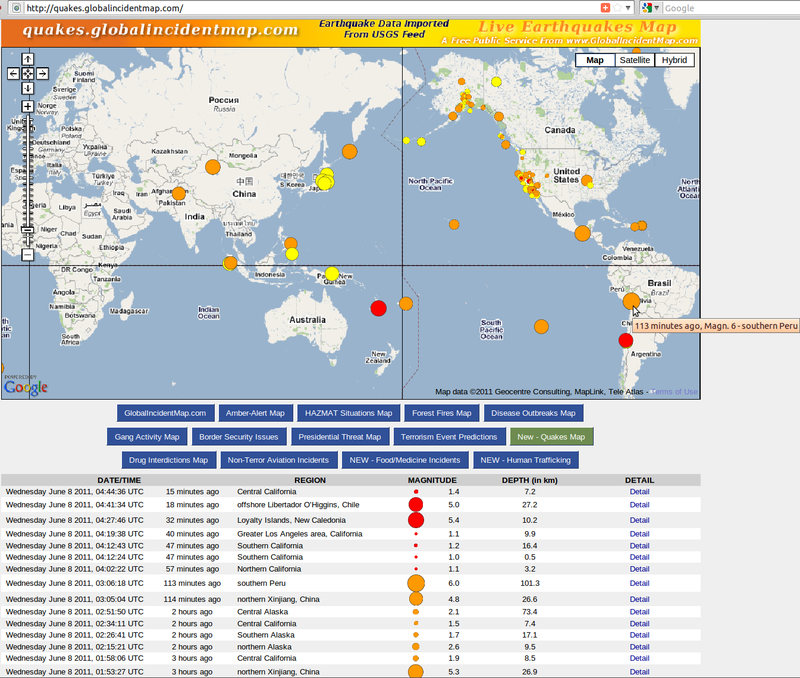 It is just a matter of time until our next catastrophic earthquake. 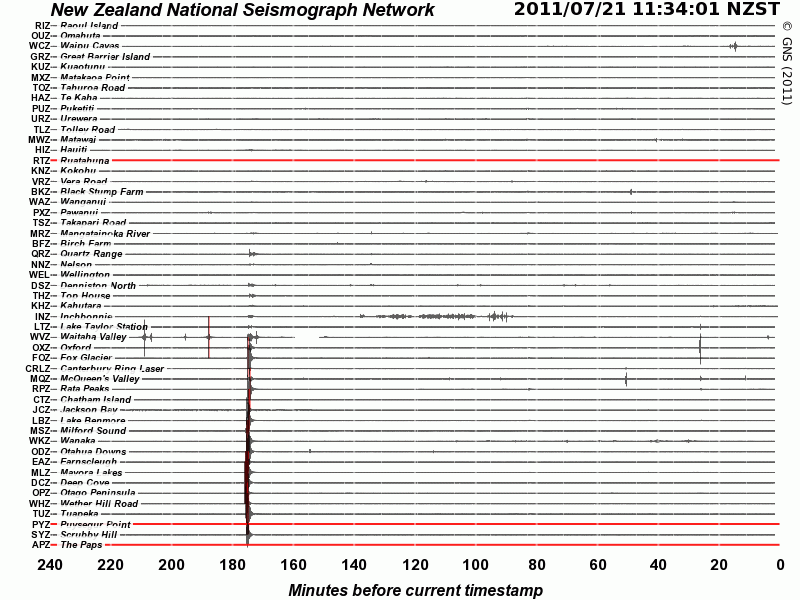 See too mickey mouse NZ govt geology 18/07/2011. Act to disempower crony capitalism, now! Ngai Tahu chairman Mark Solomon said on [thus-doomed] CTV, of the September 4th earthquake: “It’s a good thing, for bringing our people together”. Solomon’s organisation credibility disappeared forever with that statement. Ref. 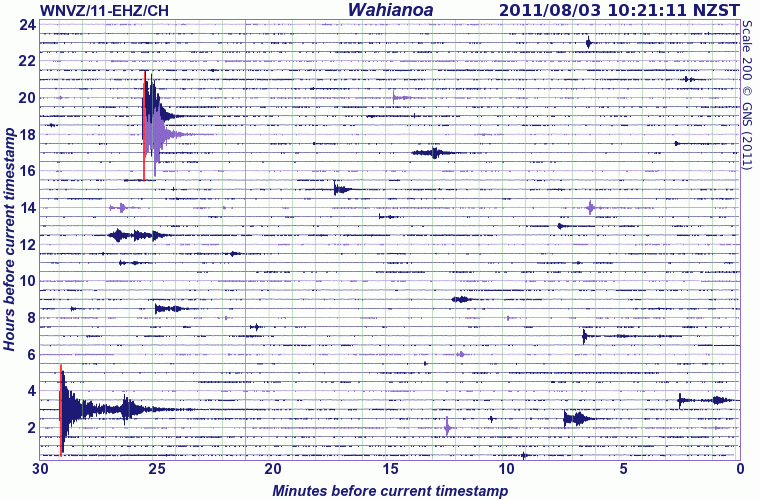 Earthquakes slam Ngai Tahu Inc etc blogposts. Wake up New Zealand! ~ YOU HAVE BEEN WARNED. Tidal marine hazard warning for north-east New Zealand coast – Reinga to East Cape – Stay out of the water and off the beach-line. Be Prepared for stronger than usual currents. Act with caution if boating. 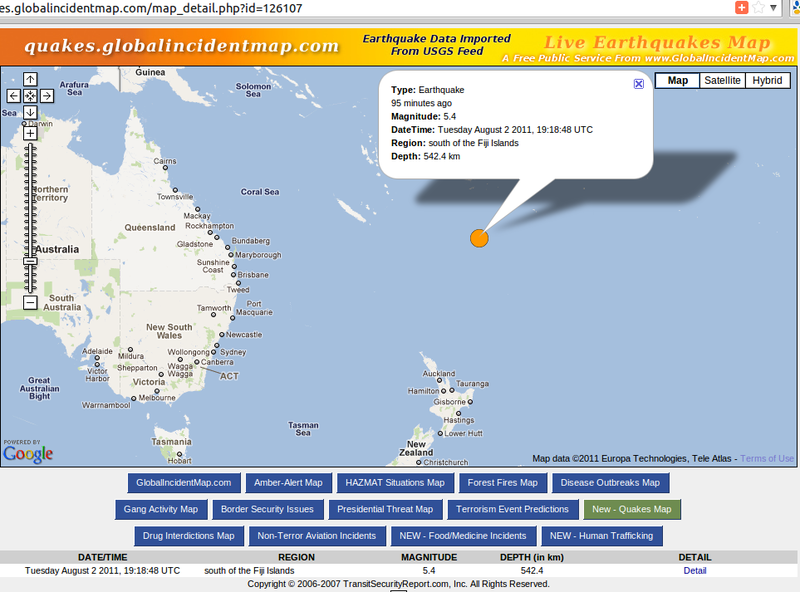 7.03am Kermadec Islands magnitude 7.6 earthquake – moderate sea effect – see GeoNet record. Ref. New Zealand Ministry of Civil Defence and Emergency Management MCDEM. 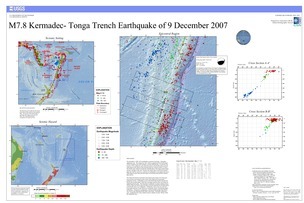 See today’s USGS record and the Poster of the Kermadec-Tonga Trench Earthquake of 09 December 2007 – Magnitude 7.8. 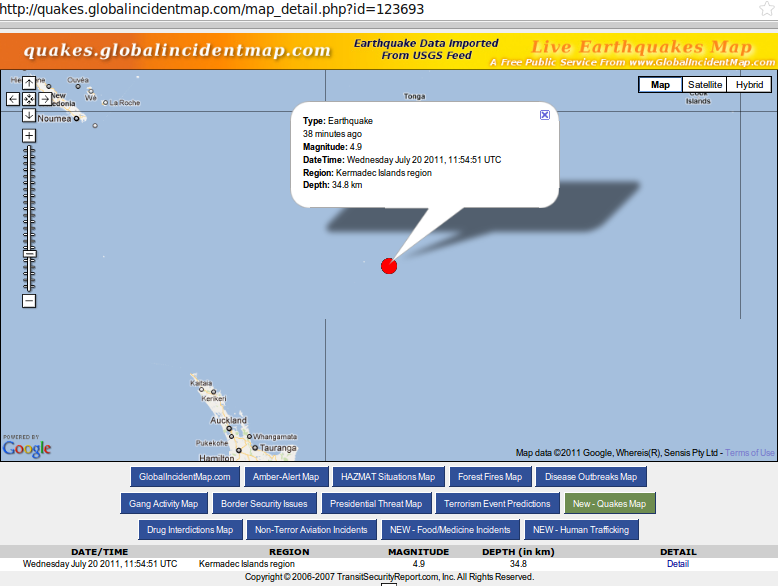 At 5:26 pm 2011/07/06 Tsunami-Warn.com wrote to me for an exchange of web-links, which I am very happy to transact. At the time it was not clear which page I should post this Auckland company link onto. 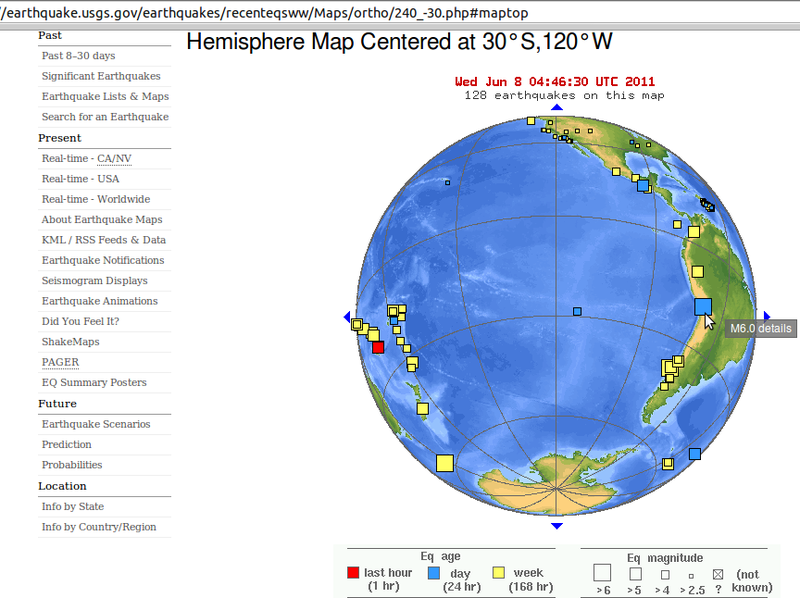 Now it stands as 13.4 hours’ early warning for today’s 7:03am, near-local seismic event. 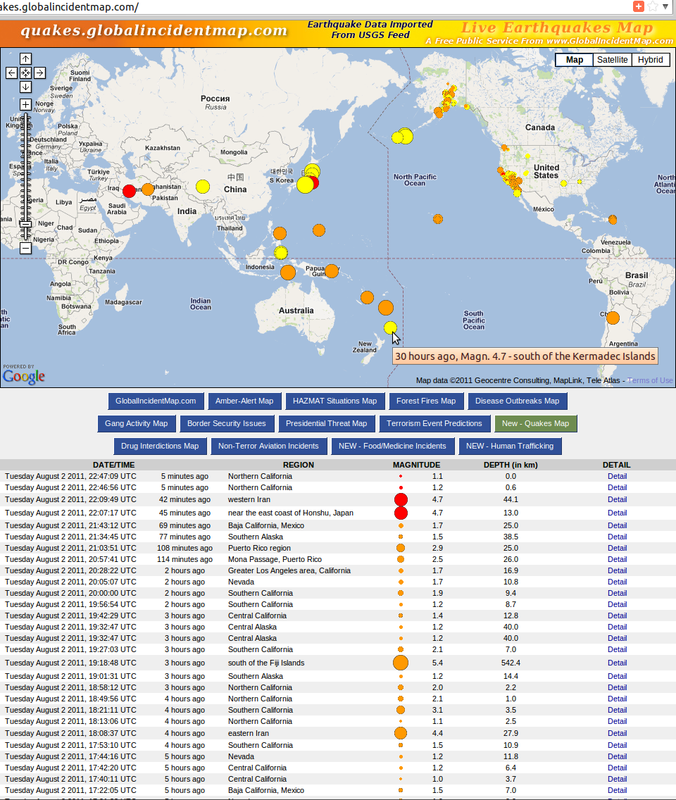 Check out the impressive Tsunami-Warn service, a “global early warning and alert system [by] SMS text message” – read latest notice. 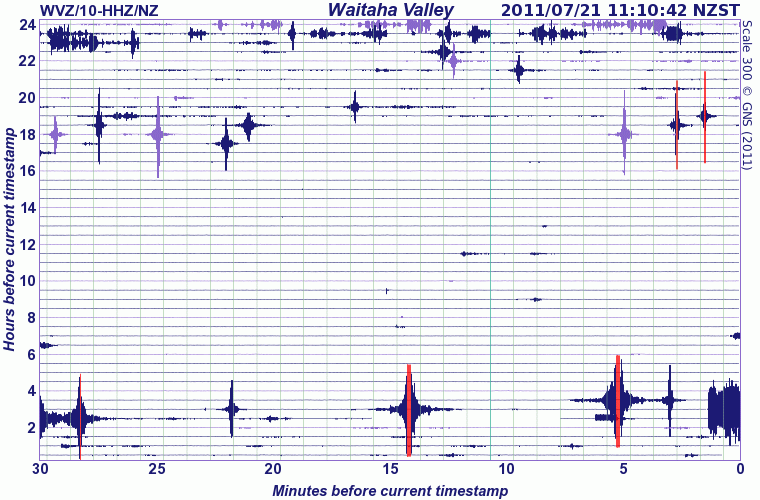 On Cashmere hill, the first high-frequency vibration burst came through from the Kermadecs at 7:45am. 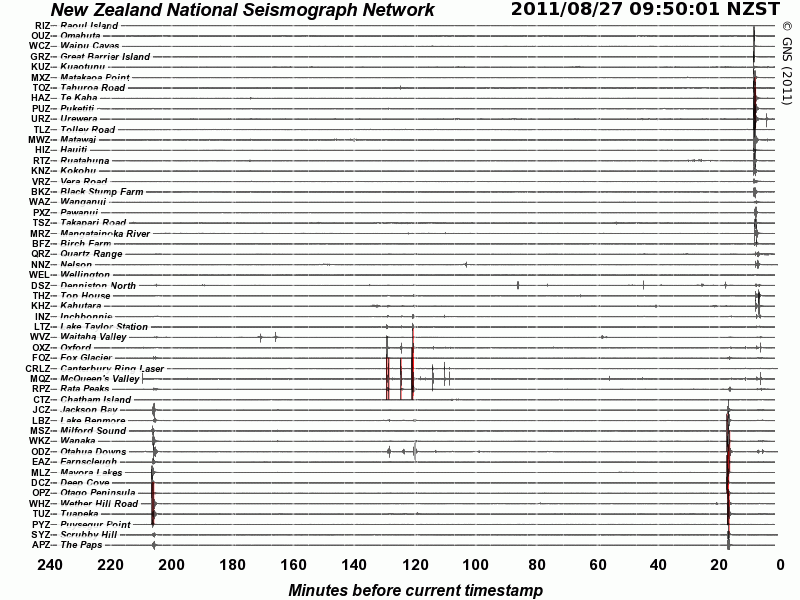 More community discussion: Tamzin Kay South Pacific Quake & Tsunami July 7 2011 for AstroBlog. 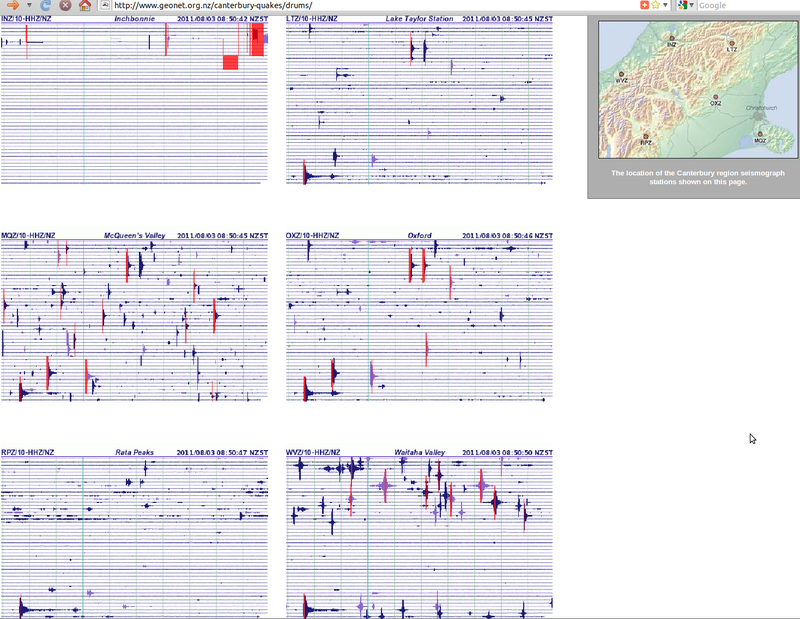 And what is the extra trace movement you can see here got going early, ahead of the large one. about 4:25am NZST for almost an hour, that has no obvious other global seismic record? Iceland volcano: eruption ‘could just be rehearsal’ for worse ash chaos if Katla blows “the magna chambers of a volcano that has some 10 times the power of Eyjafjallajökull are long ‘overdue’ an eruption after an unprecedented 92 years of inactivity..” telegraph.co.uk Saturday 09 July 2011. 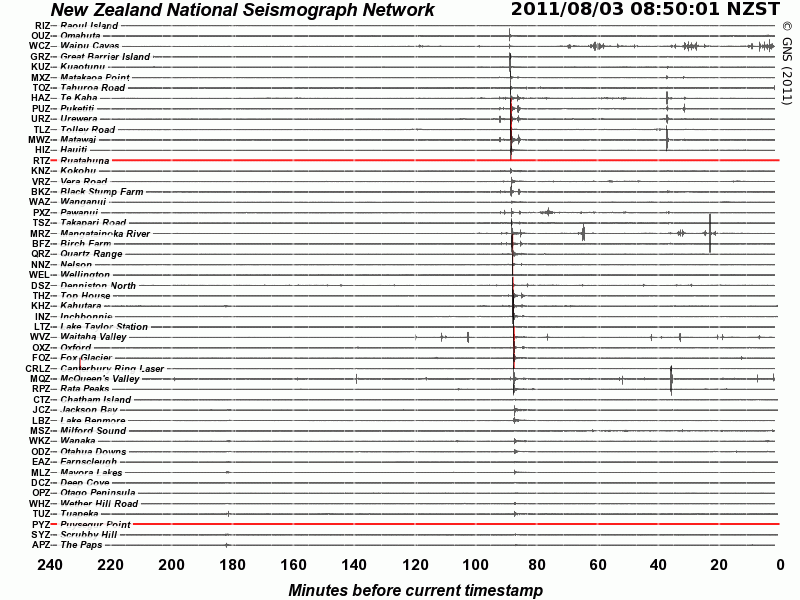 It is very clear that New Zealand geologists have suffered ‘silo effect’ in their misreading of the Christchurch earthquake series. 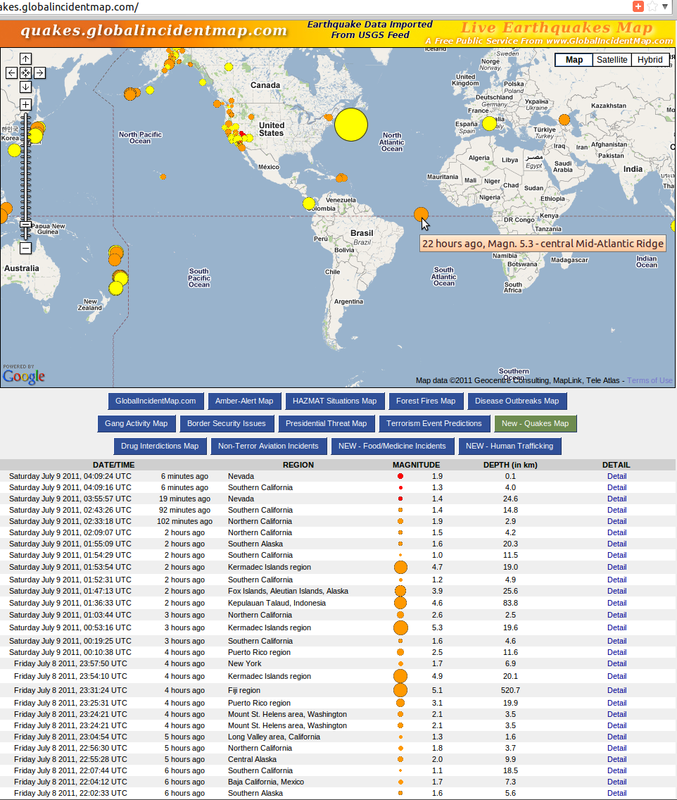 They failed to read a very obvious sequence of earthquakes, from a much larger ground movement process, as a single source and single “main shock” concern initially, and thus proved incapable of preventing loss of life and community confidence when they could have preserved both. 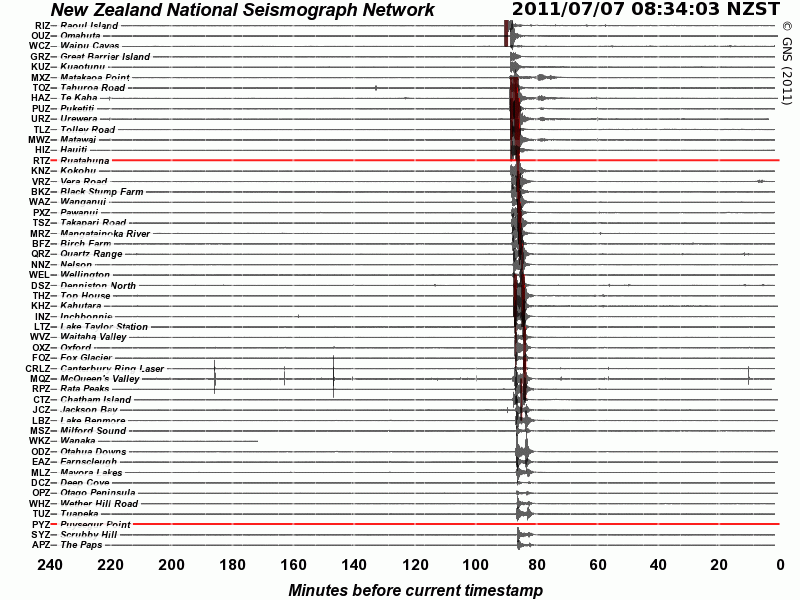 Note: the new 13June2011 ‘aftershocks’ will continue to inflate these ‘unforeseen’ high results. 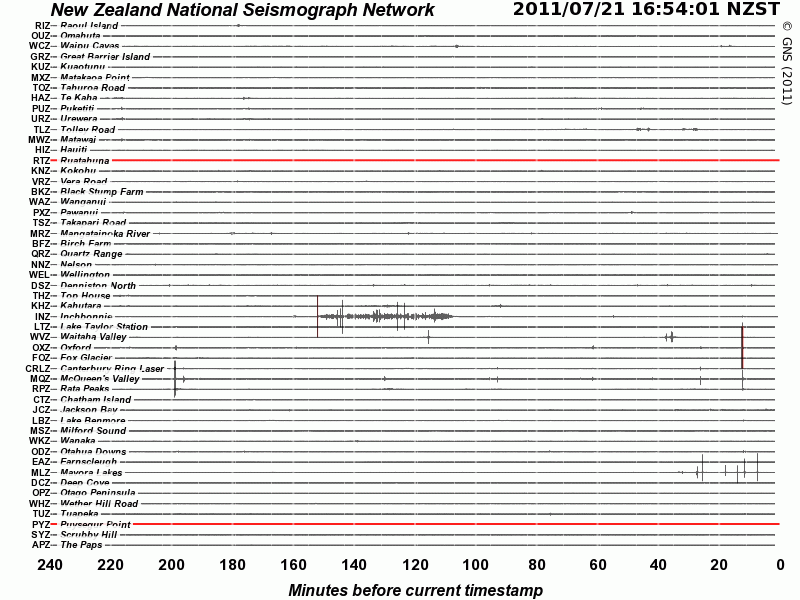 Either GNS geological methodology was seriously flawed (for dealing with central Canterbury’s unique seismic risk), or they knew a lot more than they were telling us previously (in a paternalistic policy of withholding ‘scary’ information, that they have now dropped, perhaps). – Neither of these reasons are acceptable to the New Zealand public, for keeping us and our visitors safe, in the face of significant natural hazard. 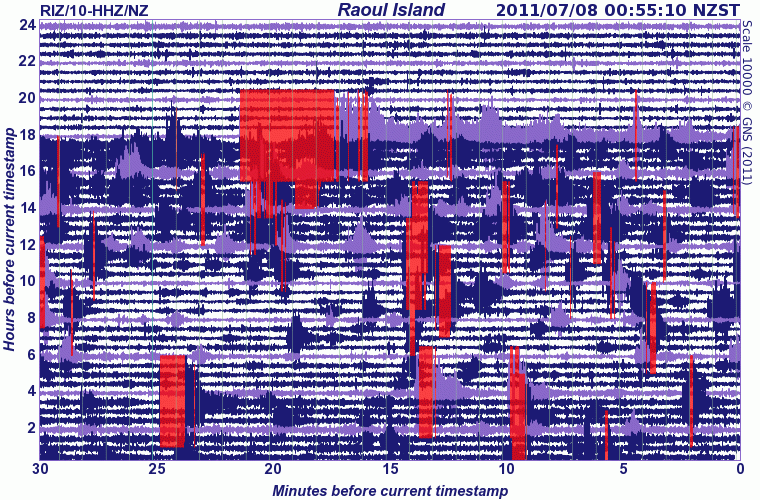 EQC has similarly proven woefully unprepared. Conclusions: New-old fault larger? 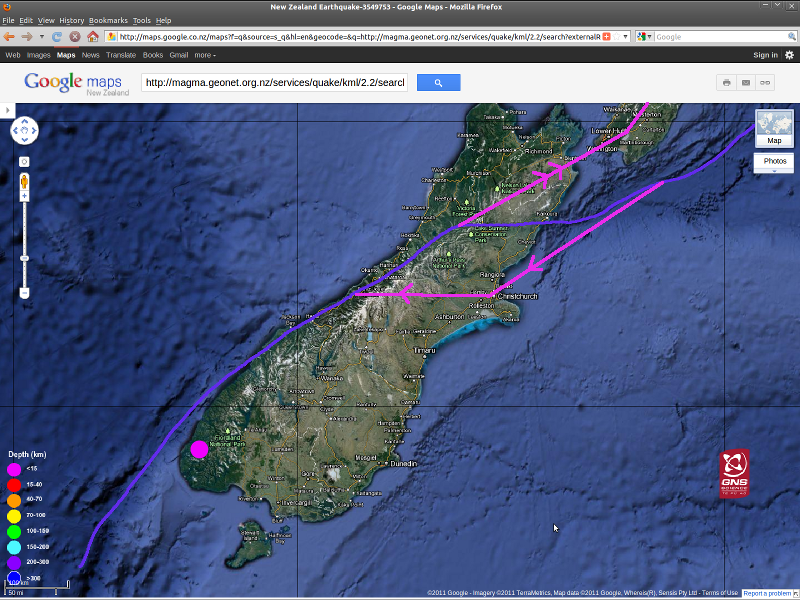 ~ #kaiapoi #chch having asked Will it be this June? 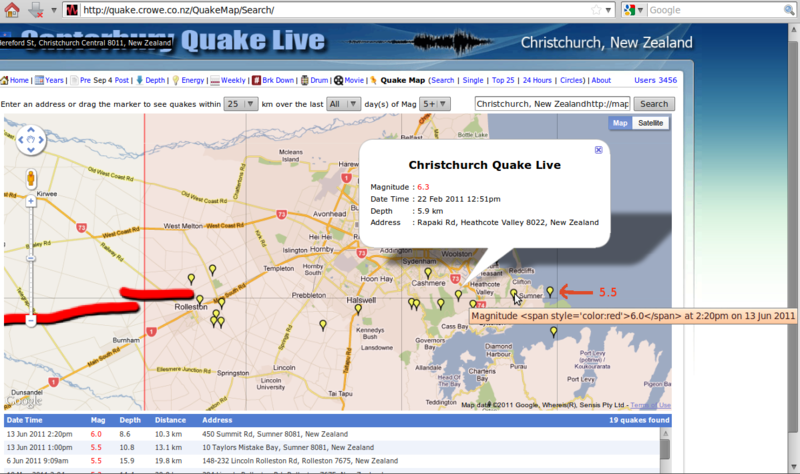 ~ #eqnz re Big One. Zealandia is the ancient and unique Pacific Plate landmass (mostly submerged) that, in stalling the Australian Plate, built up the Southern Alps. It’s massive might has only just started to reveal itself. 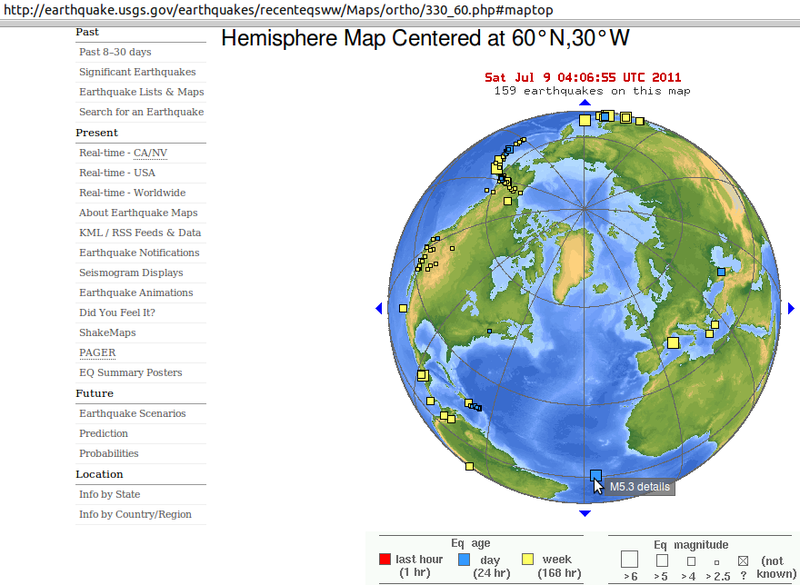 Regarding an Alpine ~8.0 earthquake, YOU HAVE BEEN WARNED. 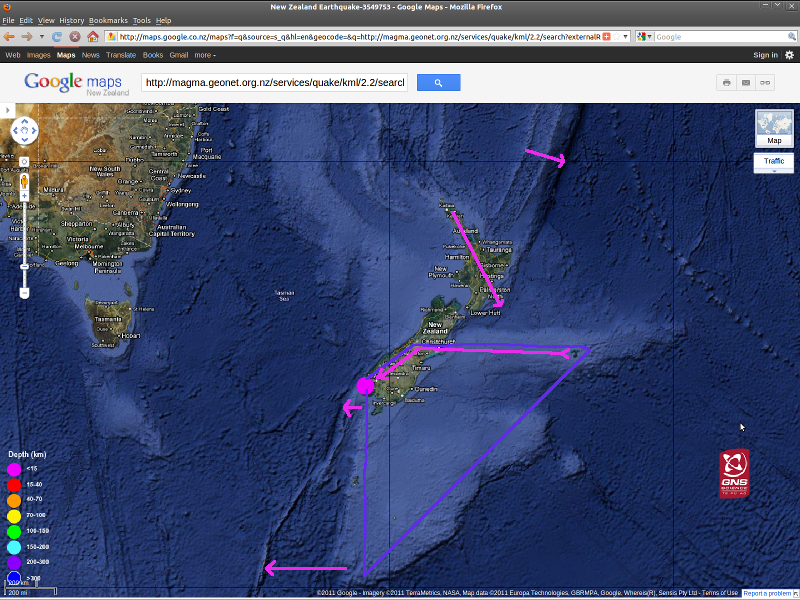 Zealandia Continent map Wikipedia; NIWA bathymetry and news. 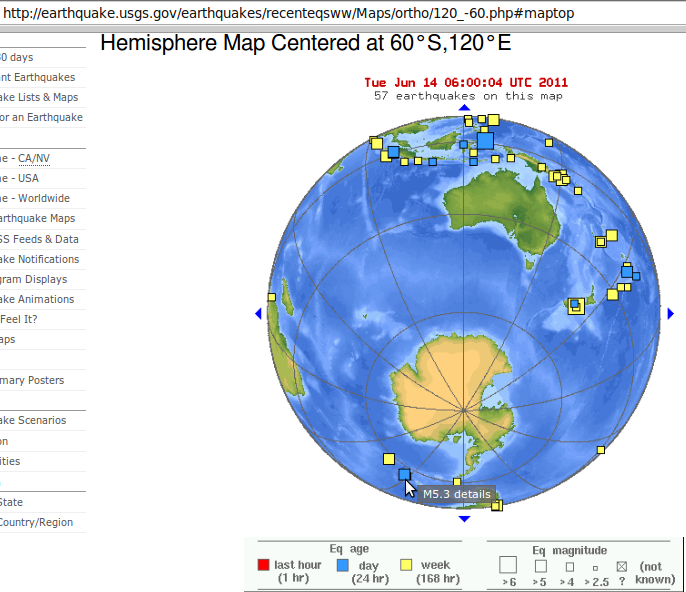 The big disturbance shown is our Christchurch 6.3. 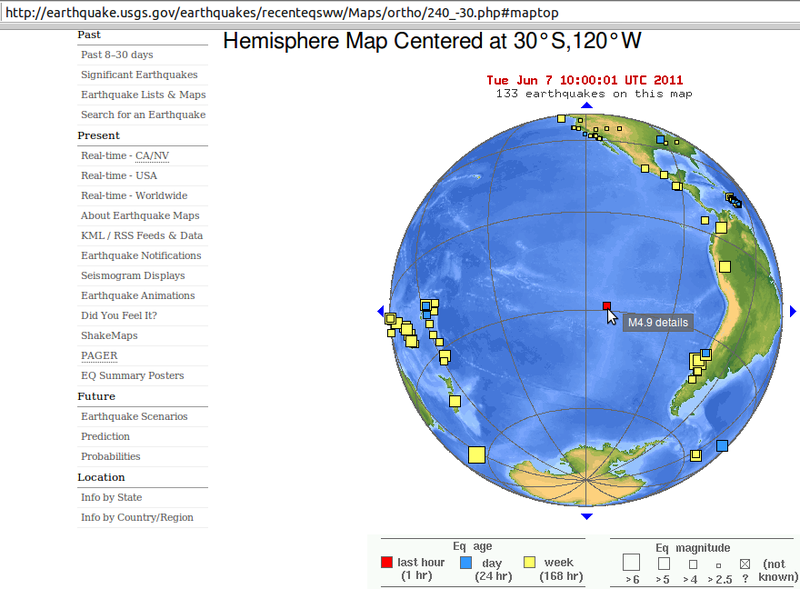 Above that and much smaller is the – much nearer to Palmer Station – South Shetlands Islands 4.9 of 0.02am UTC. 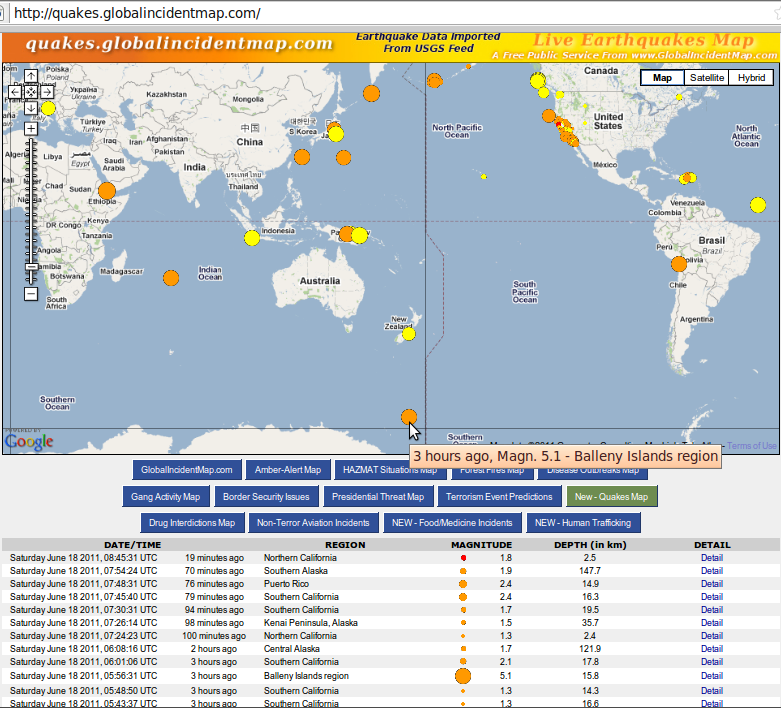 At top and magnitude ~5+ is… something not recorded anywhere else (on quakes.globalincidentmap.com that is). 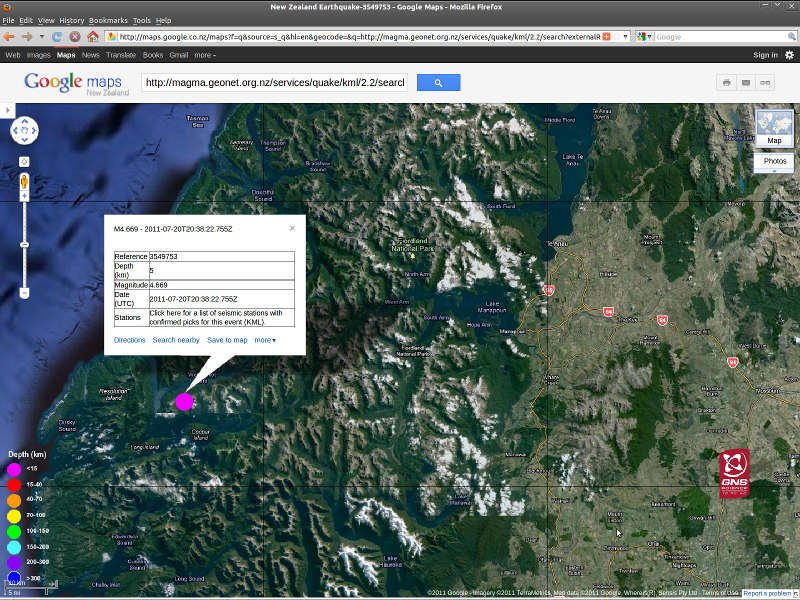 This must be another Antarctic earthquake, that needs closer examination. Check the graph of dramatic other recent Antarctic perturbation on #Earth vs #Capitalism #volcano #disaster post, again from Palmer Station. Let us observe with consideration that the faulting ‘cracks’ in the ‘eggshell’ Earth are converging south upon Antarctica. 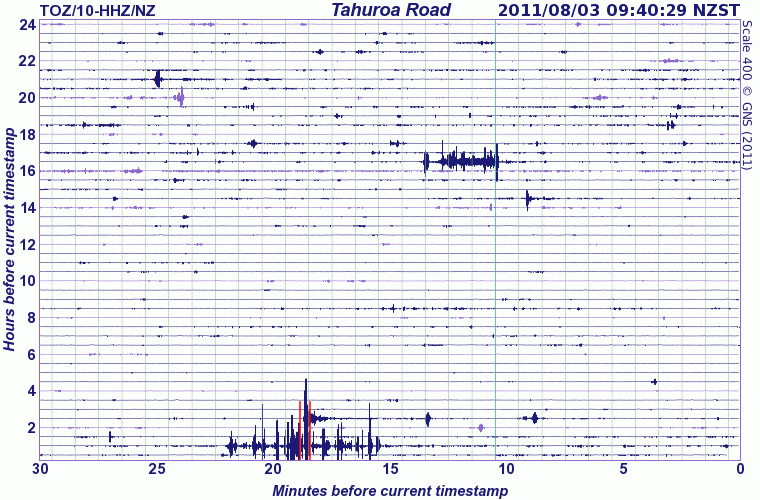 Geonet “recent quakes” is all Christchurch – but with a Lake Heron, Methven area magnitude 4.8 punching the Chatham Rise “straight line” fault sequence straight into the Alps. a. 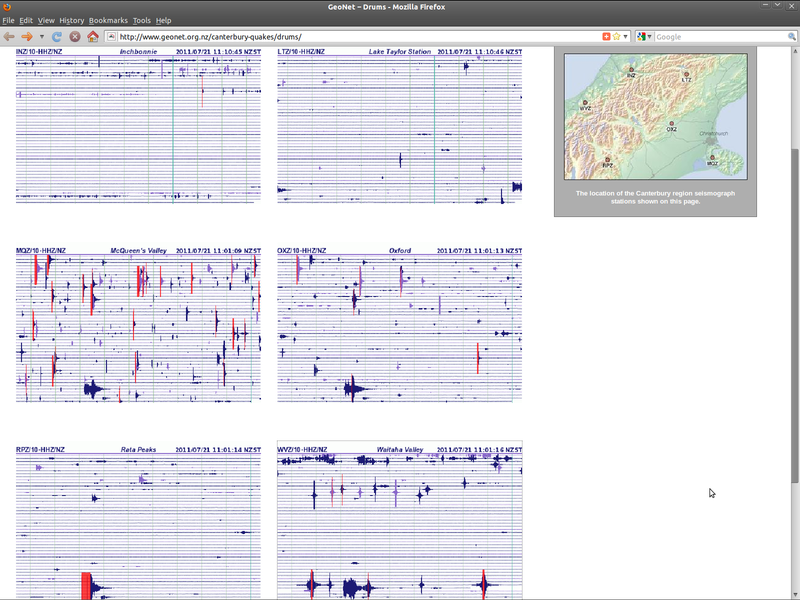 Here is Palmer Station again, showing the Indonesia 6.4 quake. b. 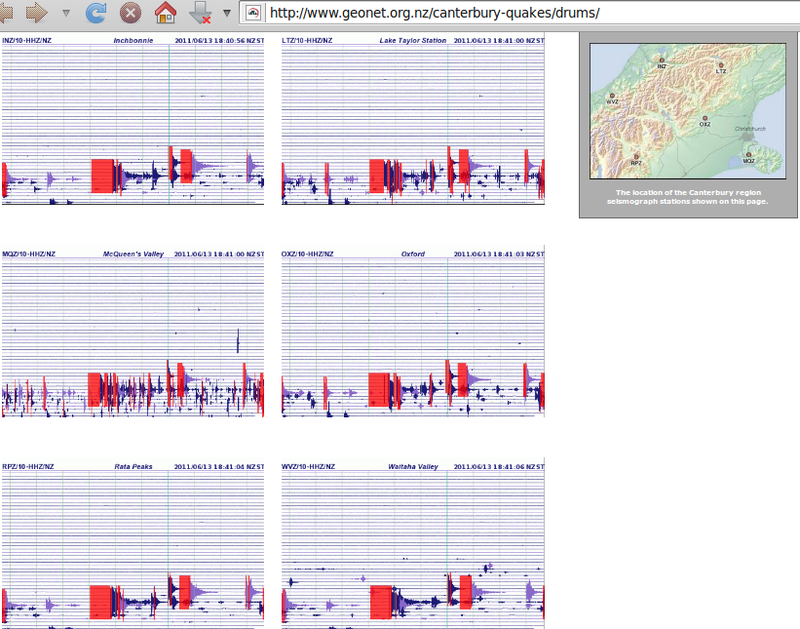 Then, another ‘undocumented’ Antarctic earthquake from Palmer Station seismometer of 15 June, #2 below. c. 18Jun11 update: As predicted yet again, almost, at 5:56pm NZST, a near-Antarctic earthquake. c-4. 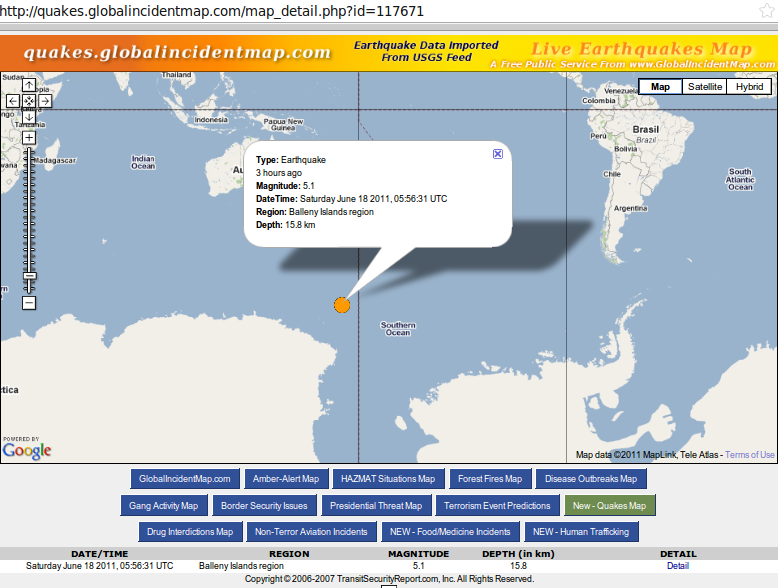 Penultimately, the Bellaney Islands magnitude 5.1 as seen in record from the other side of Antarctica, Palmer Station 180611, after two other quakes – unknown and local. N.B. 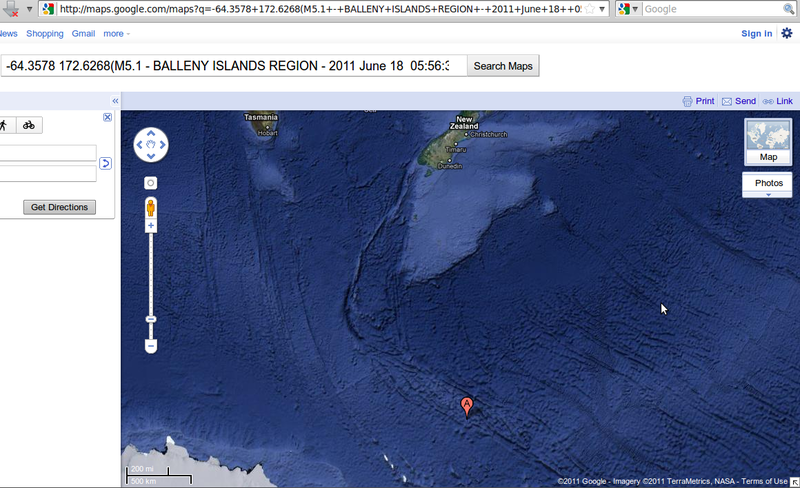 the Bellaney Islands are stratovolcanoes on facebook.